2018, ISBN: 978-3-86205-049-9, 50,- €, iudicium Verlag, München, 297 p.
Environmental disasters or other large-scale disruptive events often trigger the emergence of social movements demanding social and/or political change. 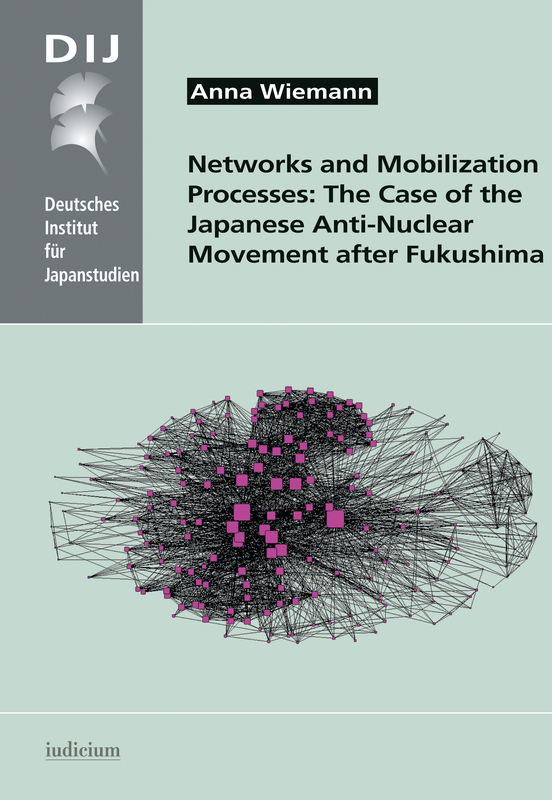 This study investigates mobilization processes at the meso level of the Japanese anti-nuclear movement after the nuclear disaster at the Fukushima Daiichi nuclear power plant caused by the Great East Japan Earthquake and subsequent tsunami waves on March 11, 2011. To capture such meso level movement dynamics – which so far have played only a minor role in research on social movement mobilization – the study presents an analytical model based on premises from political process theory, network theory, and relational sociology. This model is then applied to the case of the Japanese anti-nuclear movement after Fukushima by looking at the relational dynamics of two coalitional movement networks engaged in advocacy-related activities in Tōkyō. The first case study is e-shift, a network-coalition working for nuclear phase-out and the promotion of renewable energy; the other is SHSK (Shienhō Shimin Kaigi), a coalition pushing for the rights of people affected by radioactive contamination and/or evacuation from contaminated areas. The study traces the mobilization processes of these two networks by analyzing data gathered in 2013 and 2014 in the form of participant observation of movement events, semi-structured interviews with movement organization representatives, and documentary data.